Mother’s day recipes to win over her tummy and heart! Its Mother’s Day this Sunday 6th March, show your mum’s how much you care and treat them to some homemade delights made by yourself! Here are our favourite Mothering Sunday recipes from start to finish yes you heard us, breakfast lunch and dinner.. no excuses! Place the flour in a large bowl. 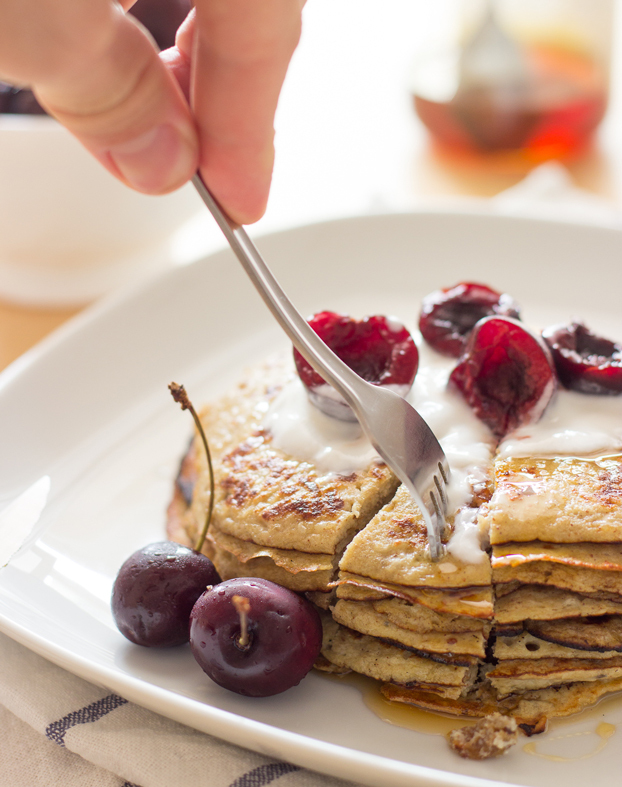 Whisk in the eggs and honey then gradually whisk in the coconut milk and 1 tbsp oil to form a thick batter. Stir in the fresh fruit. Cook gently for 1-2 minutes each side until golden and cooked through. Repeat to make 12 pancakes. Scatter with extra fruit and Giving Tree strawberry crisps! 2. Lunch – You’re very own easy version of afternoon tea! Using a peeler slice the cucumber thinly into ribbons. Layer over kitchen towel to draw out a little moisture. In a bowl mix the butter with the dill and 2 tbsp parsley then season with a little salt & freshly ground black pepper. Spread over one side of each rye bread slice. 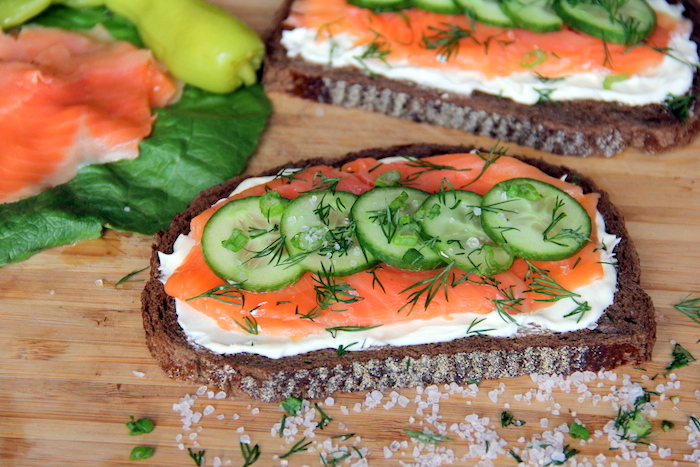 Place on slice of rye bread on a plate and top with a few slices of salmon, squeeze over a little lemon juice and top with a few slices of cucumber. Mix the cream cheese and lemon zest together. Spread the other side of the remaining rye breads with the cream cheese mixture and place one on top of the cucumber. Repeat this until all the rye bread is gone. Spread the top with the remaining cream cheese mixture. Top with lemon zest & parsley and slice gently with a bread knife to serve. Tip: Make sure you place your salmon and cucumber right up to the edges so you can make a feature out of the sides of the loaf. 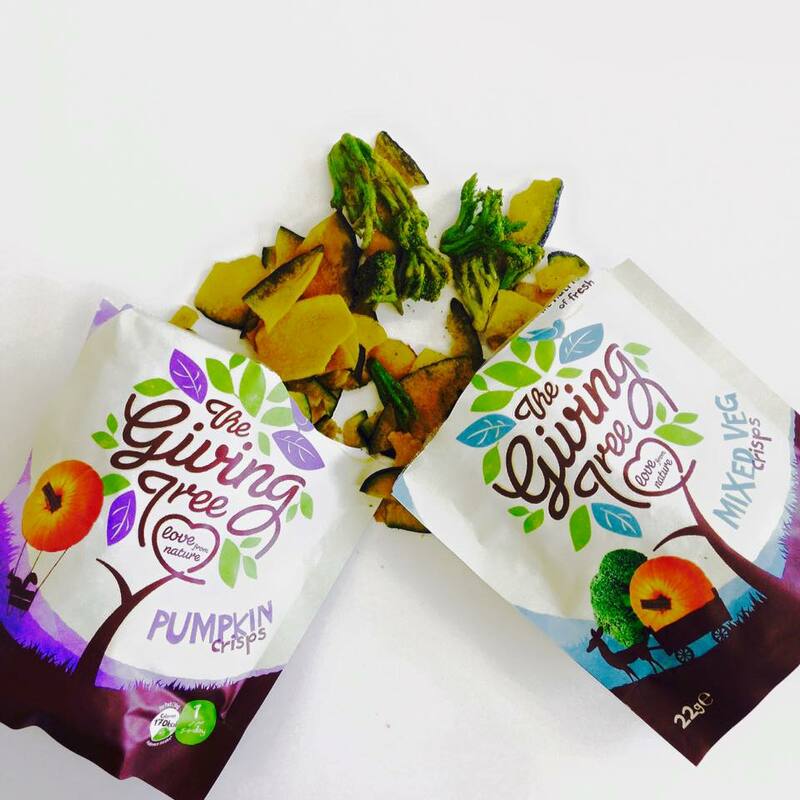 & a her favourite cup of tea too and pack of Giving Tree veg crisps! Pre-heat the oven to 200°C/180°C Fan/Gas 6. Cut the butternut squash, sweet potato and parsnips into large chunks. Put the oil in a large roasting tin and heat in the oven. Put the squash, sweet potato and parsnips in a pan, cover with cold water and heat until boiling. Simmer for 3 to 5 minutes. Meanwhile cut the onion into 8 wedges. 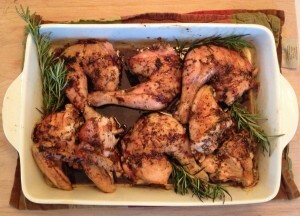 Put the chicken in the roasting tin, skin side up, and surround with the vegetables, tucking the herbs in between. Roast for 30 minutes, basting occasionally. Mix the balsamic vinegar and honey. Remove the chicken from the oven and drizzle with the honey mixture. Cook for another 10 to 15 minutes, then serve.